The Chinese Free Mason Hall was in Carson City's Chinatown, at 408 E. Third St. Much of Chinatown dated back to the 1870s, when the Chinese came to Carson City to build the railroad and work as woodcutters in the mountains. 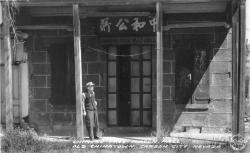 The population of Chinatown may have reached as high as 1,000, but by the 1930s there were only a few dozen Chinese in the whole town. 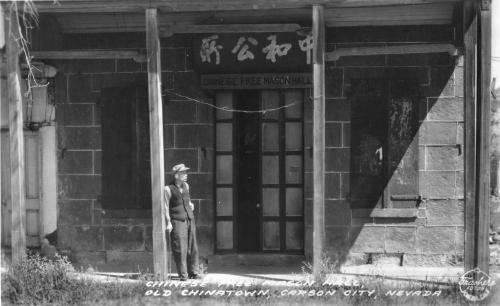 A few of them still called Chinatown home, but mostly it was a ghost town by that time. Chinatown was gone by the 1950s.